CB’s been working on my guitars for around twenty years. He’s as good an “action man” as there is in the business. He takes instruments that don’t play well at all, and makes them play very well. 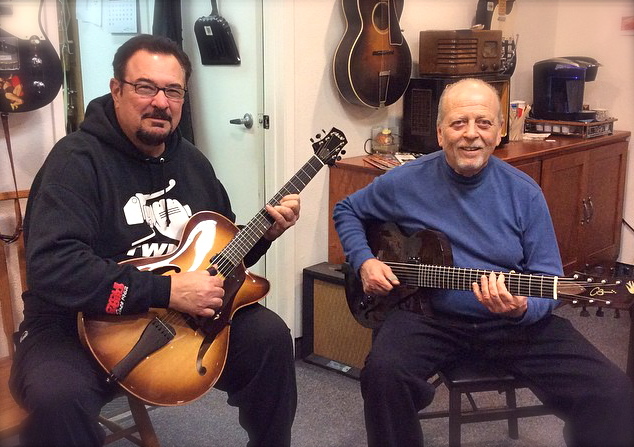 Les Wise and Ron Escheté at the shop jamming on CB Hill guitars. Les is playing a Corvette, and Ron is playing his custom 7-string 2-5-1.